Indoor Soccer League offers two sessions. The first one is in November and December. The second league is in January and February. Each league offers students the opportunity to build their technical ability, teamwork, and the discipline necessary to play the game of soccer at all levels. All games are played at Lindley. The league costs $40 per student. For more information, email Ana Herman or download a registration form. 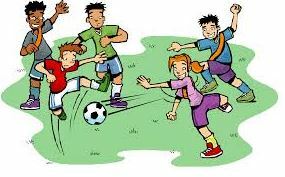 Spring Soccer League is a 5-week recreational program. It offers students the opportunity to build their technical ability, teamwork, and the discipline necessary to play the game of soccer at all levels. All games are played at Lindley or Indian Village Elementary. This league costs $40 per student. Students are required to wear soccer cleats or tennis shoes, shorts, socks, and shin guards to every game. For more information, email Ana Herman.